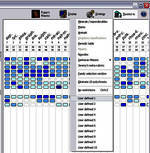 Radar probably has the most precise and extended family database ever created for the homeopathic community. Version 10 now adds great flexibility to use those data as you wish. 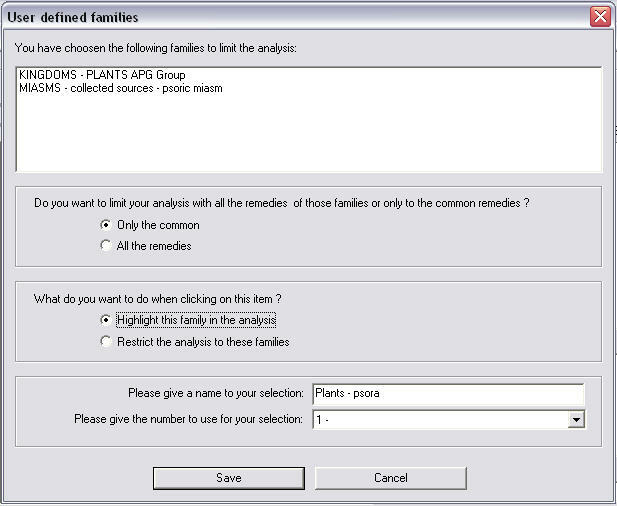 Any repertorial analysis can already be limited to a number of preselected families with one mouse click. 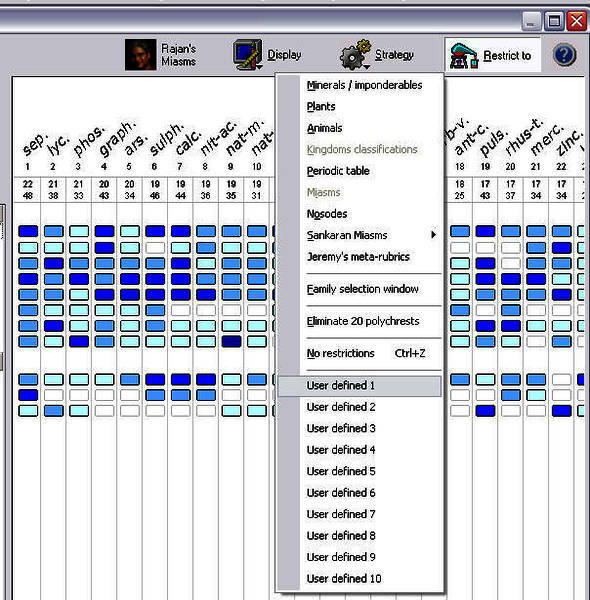 Now you can add up to 10 user defined families to that quick list (in the analysis screen, choose "Restrict to"). You can replace the "user defined" entries with one family or with a combination of families, e.g. all remedies which are plants and which belong to the psoric miasm. You can choose to limit your analysis to all the remedies of those families or to the common remedies only. Then you can highlight those remedies, or limit the analysis to these remedies. At last, you give a name and a number to your selection. This is the way it will appear in your personalized analysis screen from now on. It takes just one click to filter your analysis and to see only remedies limited to the family that you just created. At last, you can now press Ctrl-z to undo any family selection you did use and you will again see all symptoms without a limitation to a family.